I stumbled across Spooky Little Girl in Powell’s Books’ airport branch this morning while I waited for my flight to board. I was looking for a novel by a local author (when on vacation, I try to read the local authors who I might otherwise not have access to), and picked this book up not realizing that Notaro is based in Eugene, Oregon. I almost didn’t get the book, but I came back to it and flipped to the author bio page on the off chance that Notaro could be considered “local” and lo and behold! she was. And boy am I glad — this was a great read. I finished it with less than 5 minutes of flight time remaining, and it definitely helped make an otherwise trying plane ride bearable.So what do I actually have to say about Notaro’s writing, about the story, about the book itself? Well, there were a lot of sloppy typos…it wasn’t as polished as it could be. But the story was really captivating and cute. The main character ends up dying (this is not a plot spoiler — it’s the premise of the entire novel) and the novel follows her as she attempts to wrap up unfinished business and come to terms with her own demise. 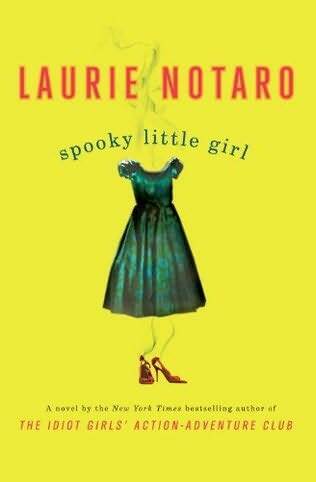 While it could have gotten morbid and dark, Notaro kept it light which made it a fantastic read (and usually I don’t enjoy thinking about death while sitting in a seat over 30,000 feet above the earth).The characters were quirky and likable, and while the plot was occasionally predictable, it was still a lot of fun to read. It also took a different approach to death, and made me consider things from an angle previously unexplored. And despite that mild predictability, there were still moments of surprise and unexpectedness, so it wasn’t something that ruined the book for me. I enjoyed it so much that I will be hunting for more of Notaro’s books next time I go to the library.